Yes, the summer wind has finally arrived. Warm with the chance of pop up thunderstorms. 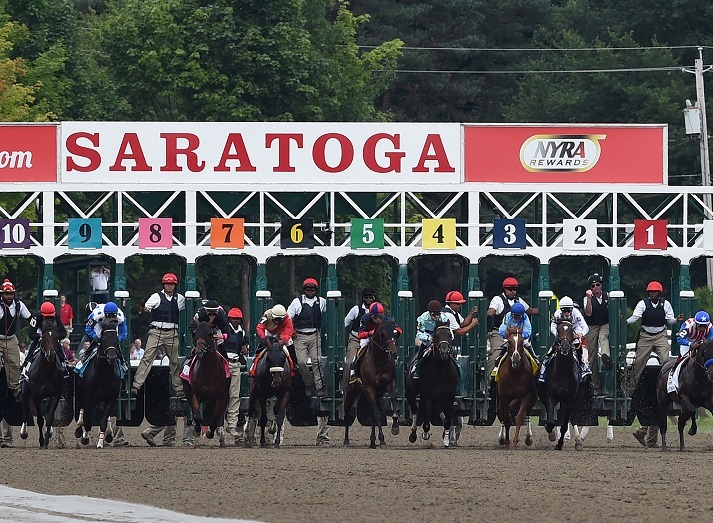 And Saratoga's 40 days starts this week. 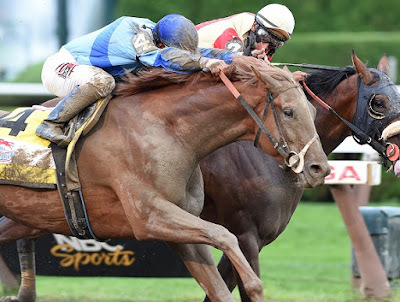 To get mentally, emotionally, and psychologically ready for the best races, horses, jockeys, fans.... (you know the rest), here's New York Court Watcher's annual look at highlights from the year before. 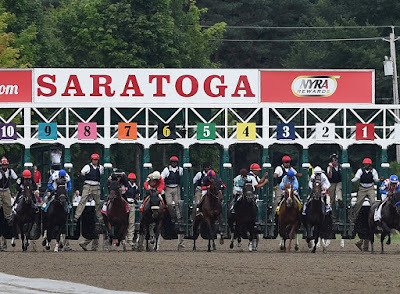 It was a full field of highly talented 3 year olds: Bayern (1st in the Haskell), Commanding Curve (2nd in the Kentucky Derby), Kid Cruz (1st in the Dwyer), Mr. Speaker (1st in the Belmont Derby), Tonalist (1st in the Belmont Stakes), Wicked Strong (1st in the Jim Dandy), and a few other previous winners--including V.E. Day, who had won his third in a row 4 weeks earlier at Saratoga in a come from behind stretch run in the Curlin Stakes. V.E. Day made it 4 in a row with the Travers. early on, it was Bayern in front with Tonalist and Wicked Strong in tow. V.E. Day was near the back of the pack in 6th or 7th. At the turn, Bayern fizzled out, Wicked Strong moved into first with Tonalist on his tail. 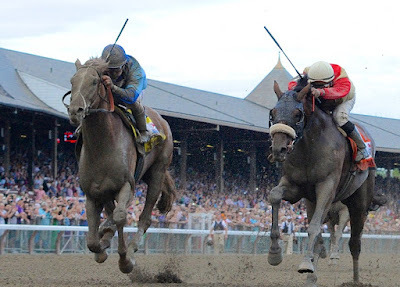 But just as it looked like Jim Dandy winner Wicked Strong was going to take it, Javier Castellano pulled V.E. Day to the outside and he picked up momentum. By the final pole, V.E. Day had passed Tonalist, he was still gaining, and everyone knew it would be close. Then, right at the finish line, V.E. 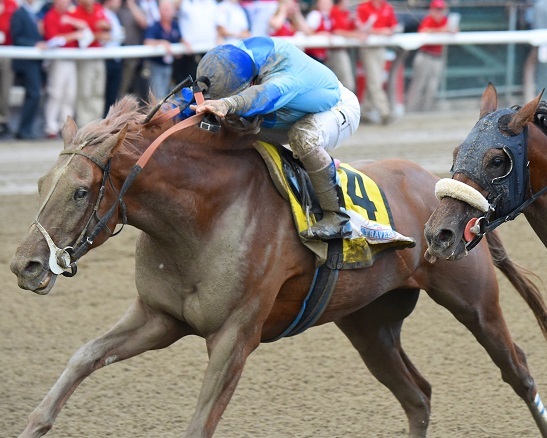 Day got his nose in front of Wicked Strong for a thrilling end to the Midsummer's Derby. Trainer Jimmy Jerkens might have felt a bit bad for his stand out Wicked Strong. But not too bad since V.E. Day, the 19-1 longshot winner, was also part of his barn. In the next post, we'll move on to the next several highlights.